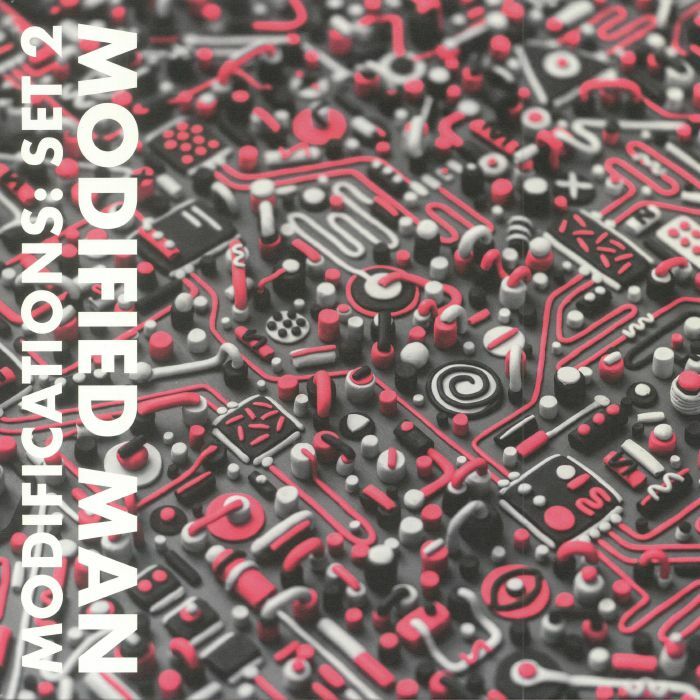 MODIFIED MAN Modifications: Set 2 vinyl at Juno Records. 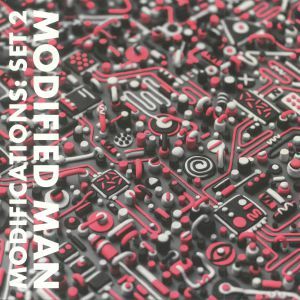 Two years on from the release of Modifications: Set 1, Adam Scrimshire and Dave Koor join forces once more as Modified Man. 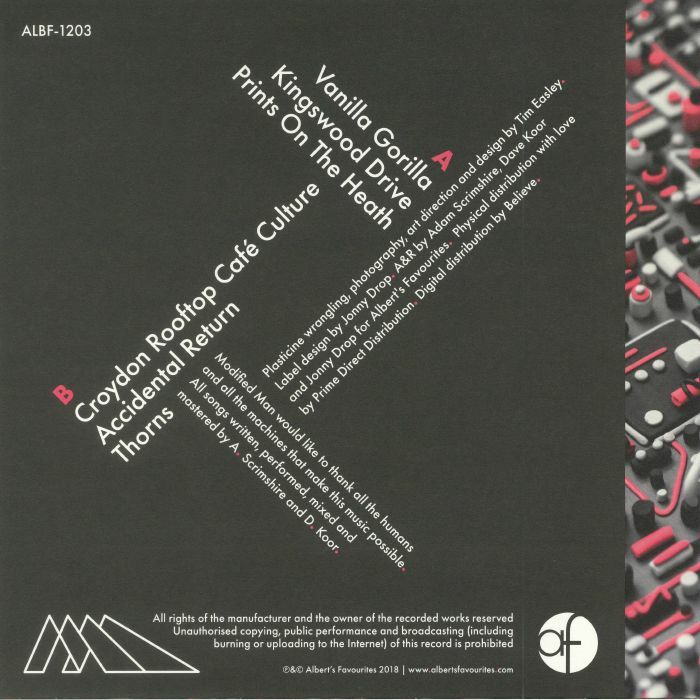 This second "Set" explores similar sonic territory to its predecessor, with the duo delivering jaunty, semi-improvised cuts that mix Herbie Hancock style jazz-funk synthesizer work and sparkling, Dam Funk style sounds with beats and basslines that variously draw inspiration from dusty, sample-rich deep house, L.A experimental hip-hop, dub, broken beat (the ace "Croydon Rooftop Cafe Culture") and intergalactic space jazz (starburst closer "Thorns"). It takes a few listens to really get to grips with all of the duo's musical intricacies, but it's definitely worth the effort.